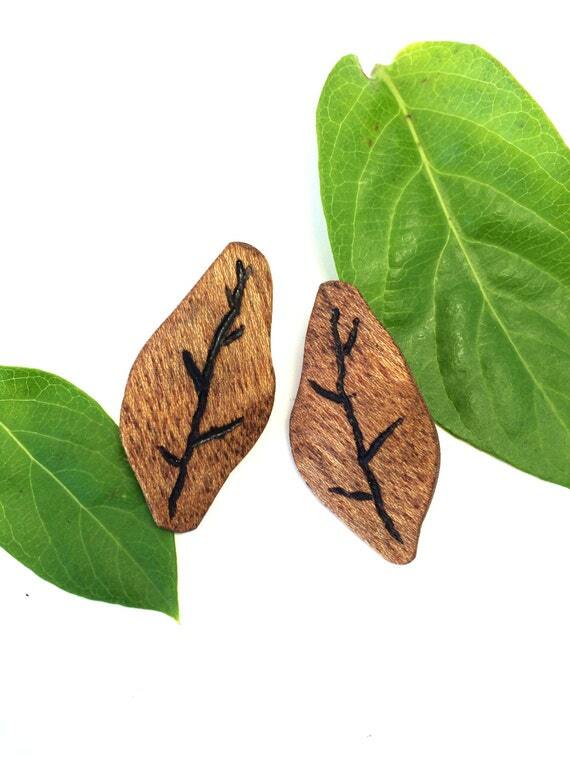 From our shop, these earrings are made from reclaimed birch. I burned the vein details, and finished with linseed oil. They have stainless steel posts. 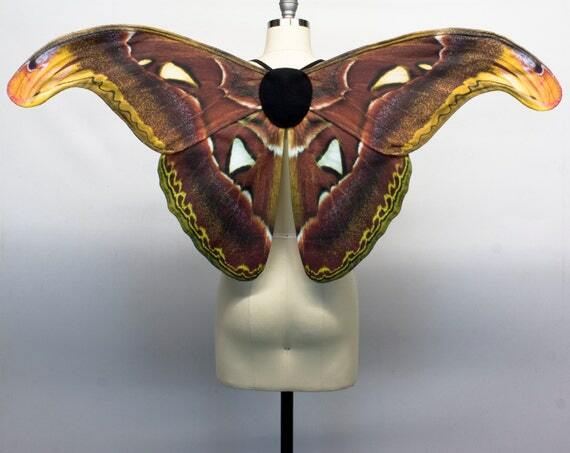 These gorgeous Atlas Moth Wings are made from printed cotton fabric. 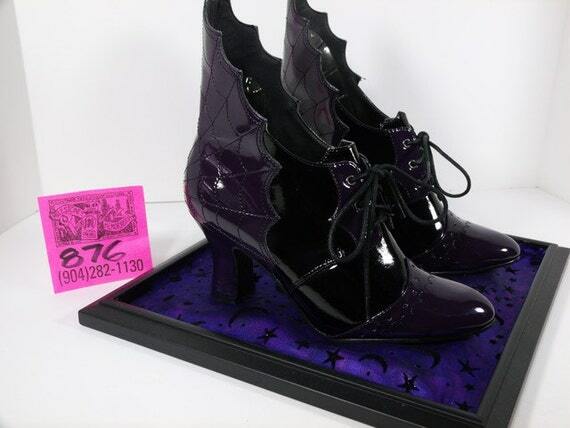 Although it is too late to have these this Halloween, they would make a lovely decoration, or you could make your day a little more interesting and wear them. Get them from Crafty Anne's Artistry. This pretty dress from Sweet Life Threads is actually two different pieces. 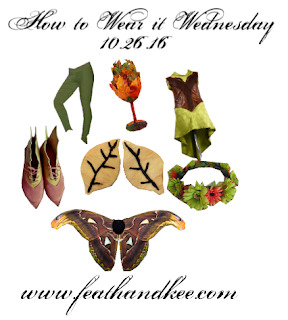 The corset is made from faux leather. 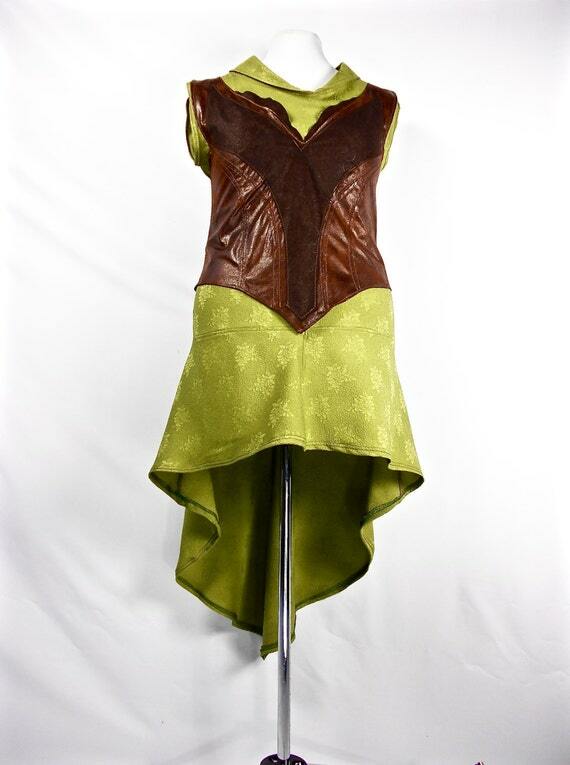 The dress it self, is made from a green jacquard fabric. There are several variations that you can request to make this custom costume truly your own. 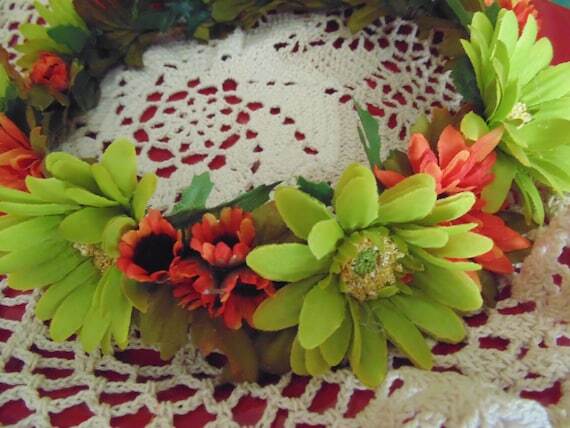 Lovely silk flowers and grapevine make up this lovely crown from Bunnies Made of Bread. It is ready to ship. 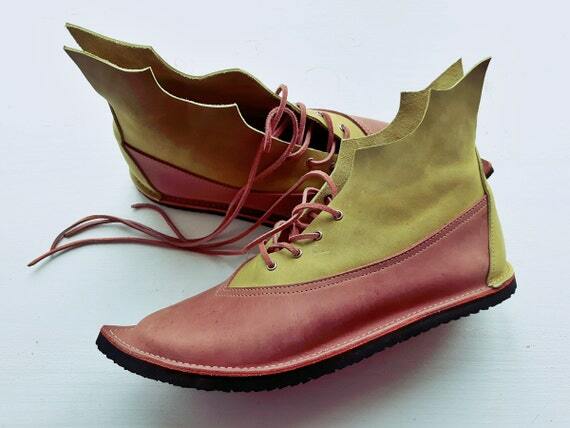 These gorgeous leather boots from Fairysteps have a vibram sole and although ready to ship, are very limited edition. This pair is a UK size 7, US size 9. 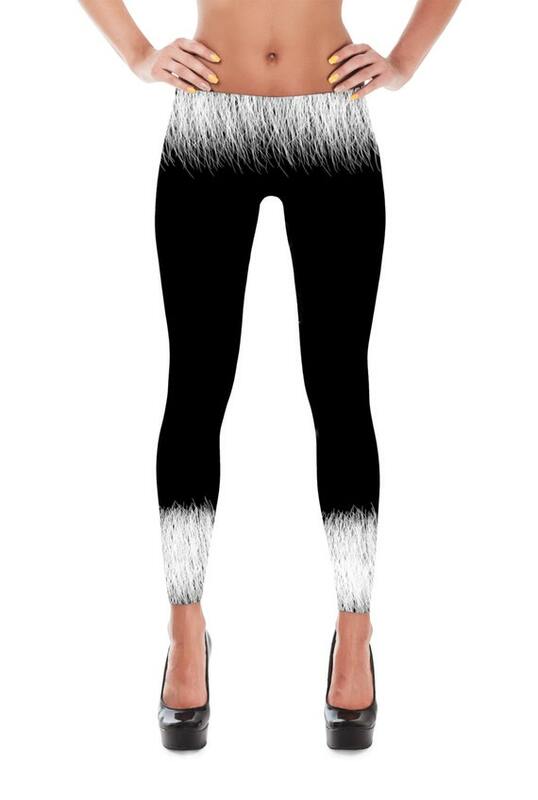 These custom leaved leggings from Ziggy Wear are made from a cotton spandex blend. 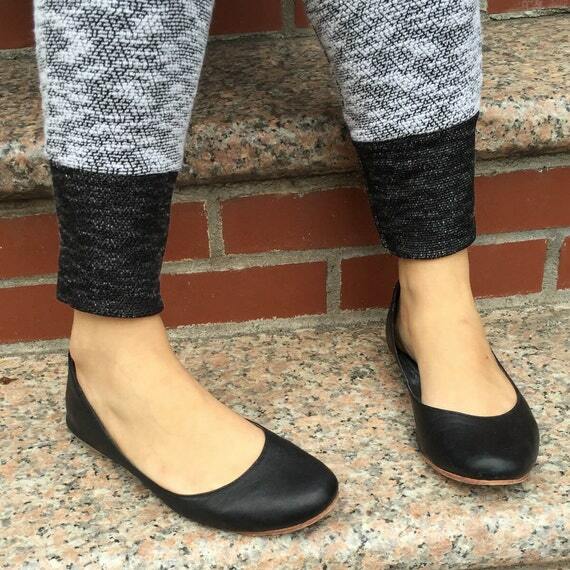 They are designed to move with you and stay comfortable. Every fairy needs a special goblet to hold her drink of choice. 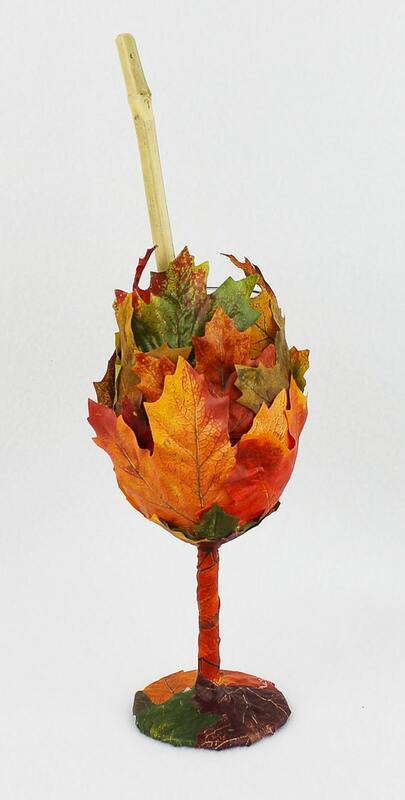 This Autumn leaf goblet from On Gossamer Wings, is just right. It also comes with a natural bamboo straw. Twelve Days until Halloween!!! 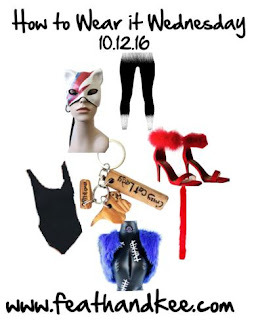 That means we have time for another costume! 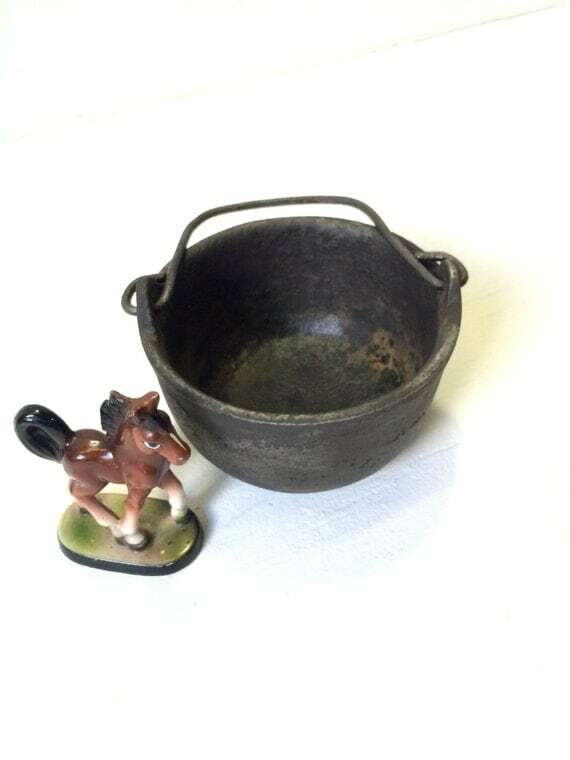 We do not carry a lot of vintage items in our shop. However sometimes, we just come across something so awesome, it has to be shared. This cast iron pot is heavy enough to take out any Killer Clowns lurking about. 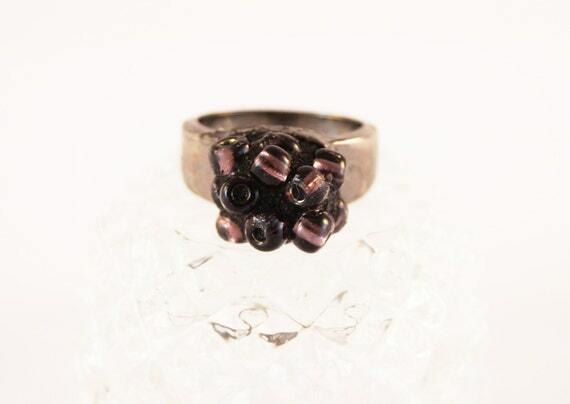 Purple glass seed beads have been clustered atop a hematite band to create an unusual piece of wearable art. 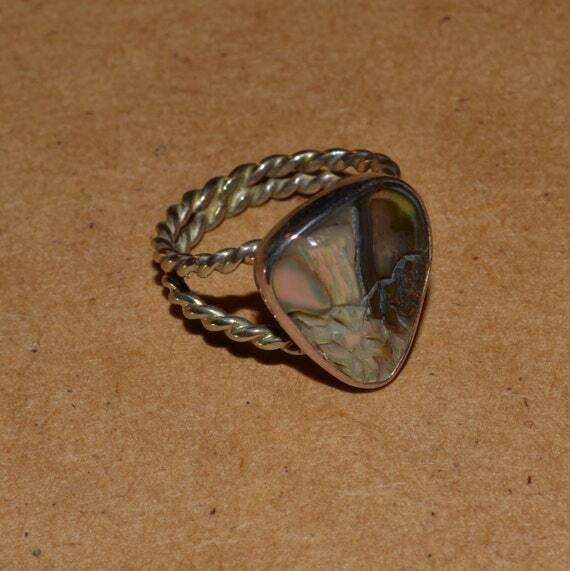 This ring is available at Pieces of Home Mosaics. 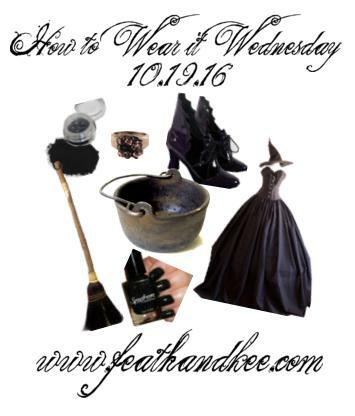 Every witch needs a stylish ride, and what could be better than gorgeous transportation that has a purpose beyond Samhain? 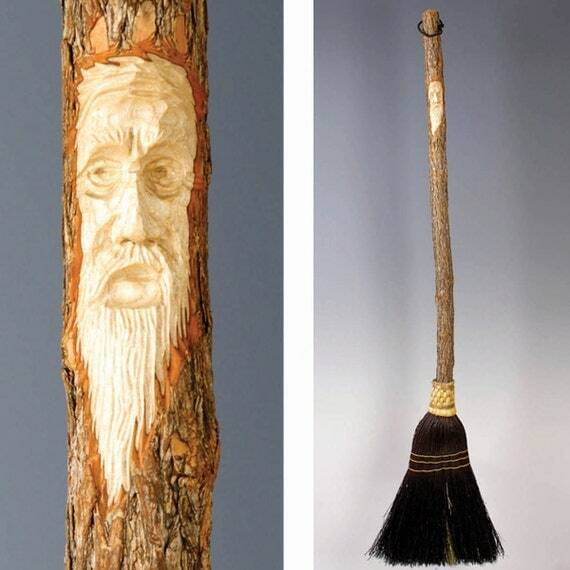 You can find this lovely hand carved broom at Scheumack Broom Company. Learn about how their brooms are made here. 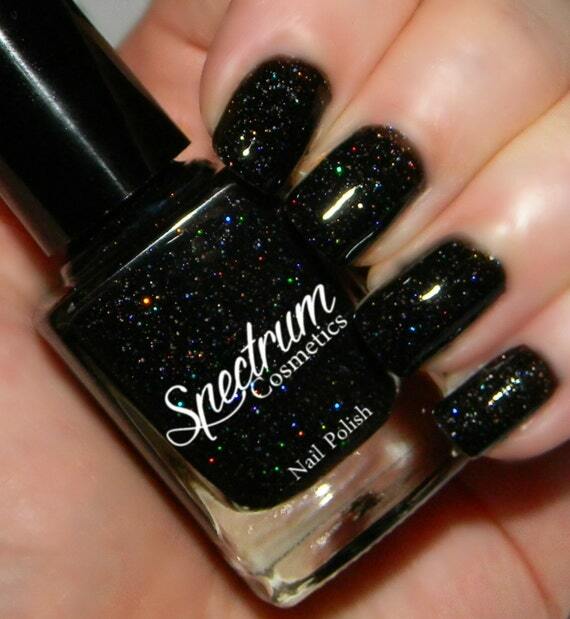 Lovely and mysterious, Dark Matter polish from Spectrum Cosmetics adds just the right touch. Spectrum Cosmetics is a 5 Free and cruelty free company. This insane pair of vintage patent leather shoes speak for themselves! They are available at Milestones In Memorabilia. 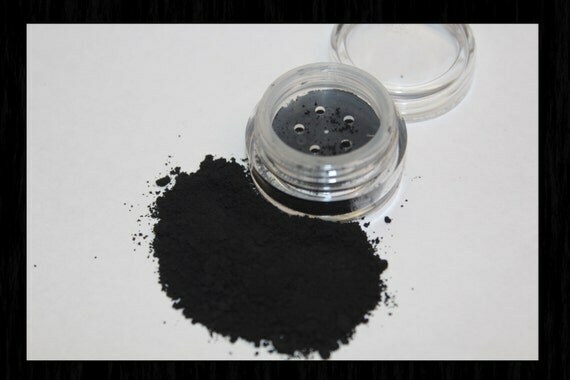 Take care of your eyes and lips with this crushed mineral makeup from Back2TheEarth in True Black. It is made from 100% crushed iron oxides, that's it. Turn heads, make a scene! 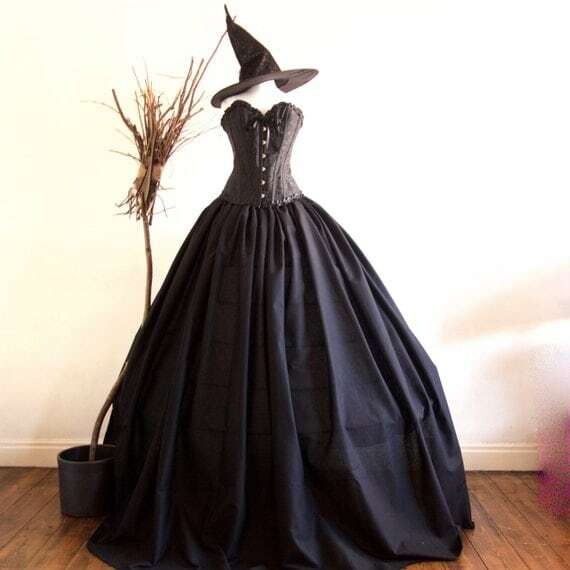 This beautiful corset and skirt from Some Like It Tu2U is sure to do just that. It also comes with a hat. Halloween is just over two weeks away! In celebration of one of my favorite holidays, I put together a cat costume. 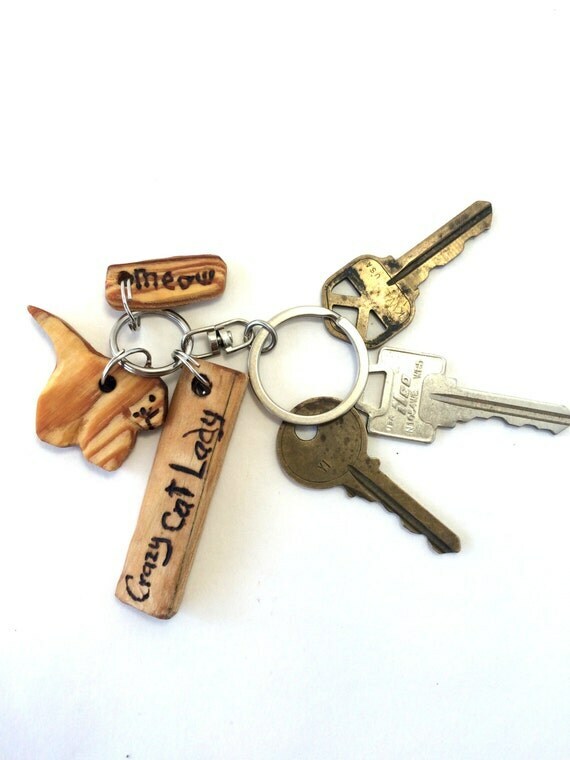 The Crazy Cat Lady key chain from our shop started out with the cat charm that came to life on it's own. 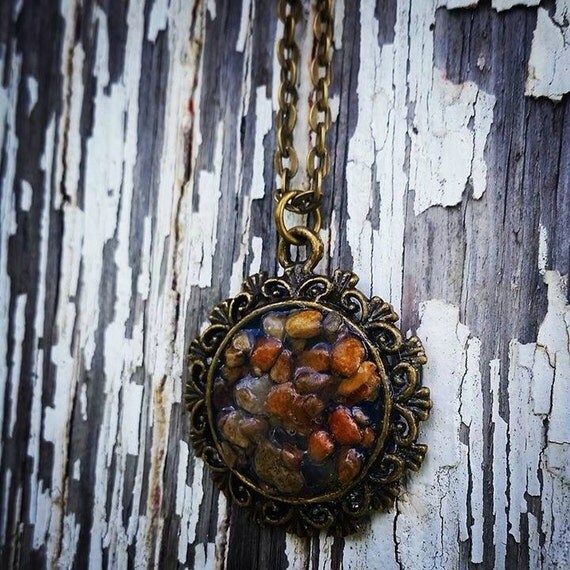 All of the charms where made from reclaimed wood. 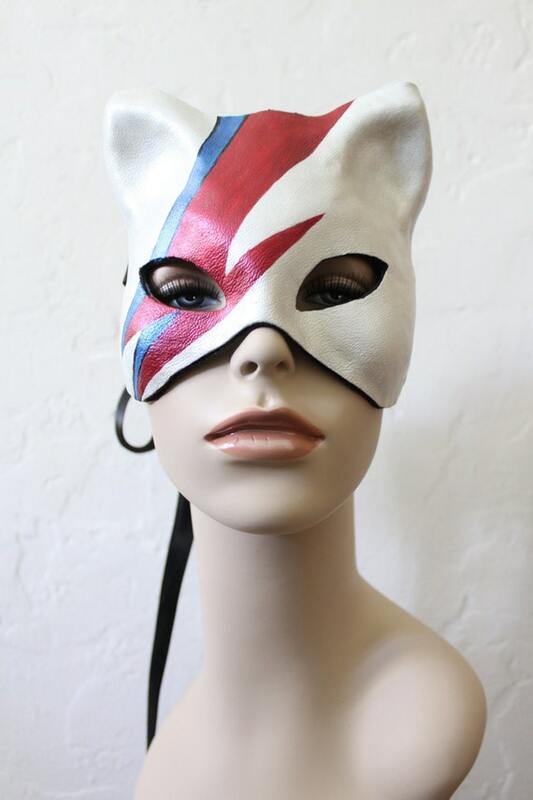 The Kitty Stardust mask from Mascherina is made to order from hand molded leather and lined with charmeuse silk. You can request that it be made from faux leather. 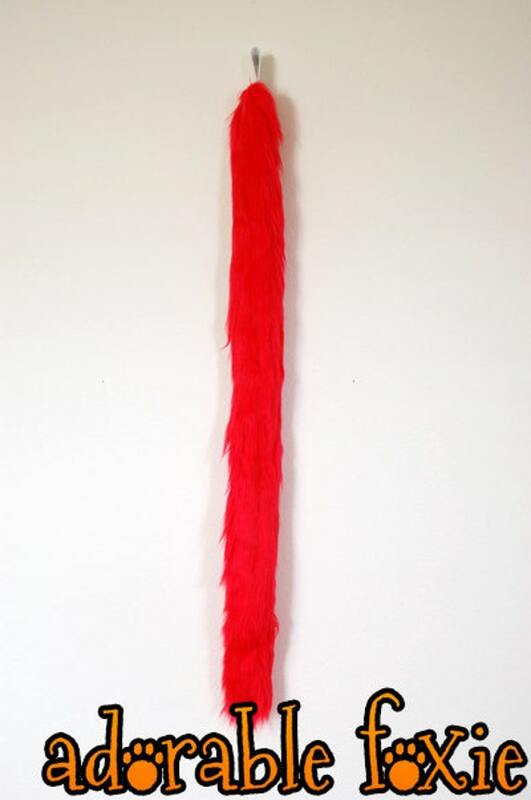 Made from silky faux fur, this light weight cat tail from Adorable Foxie can be worn with a belt, or pinned to your clothing. Made from sustainable bamboo jersey fabric, this made to order body suit from Clare Bare is sure to be a staple piece. 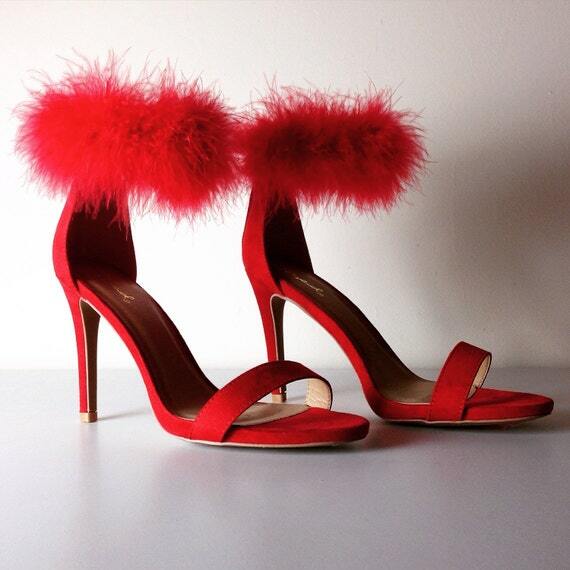 These fun heels from The Bunny Tail are made to order from faux fur and faux suede. 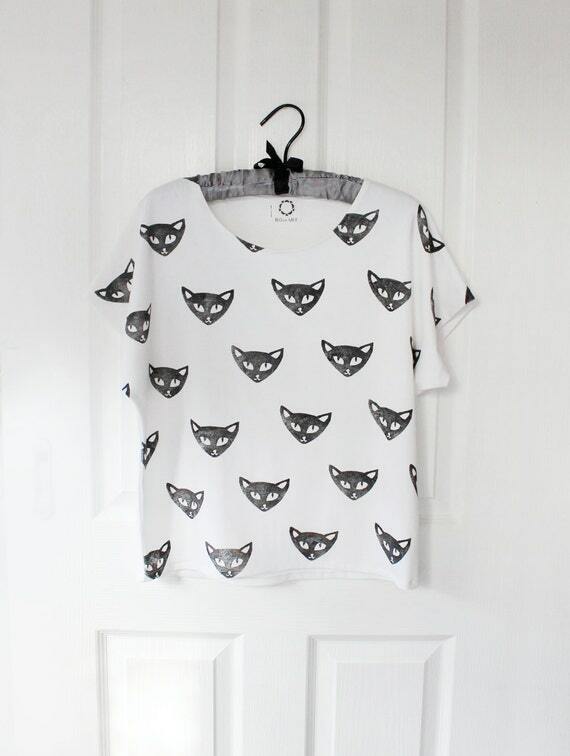 These cute made to order leggings from Skylit Apparel are printed, cut, and sewn in California. This fur vest from Pawstar is made to order, and they have several different colors to choose from. 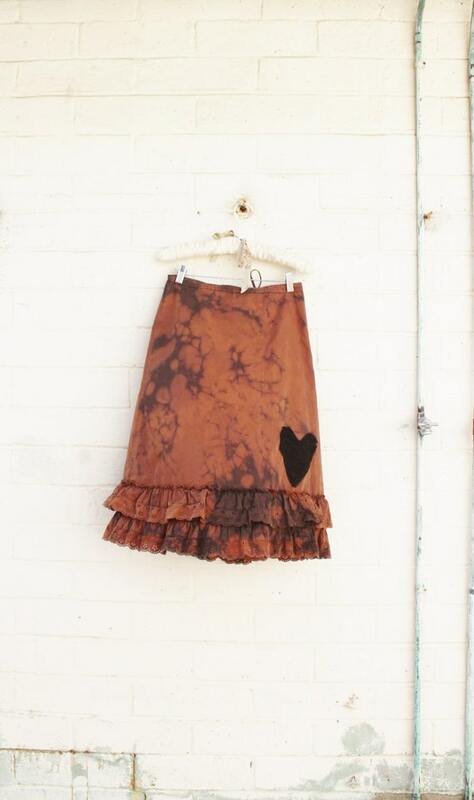 They also make a matching skirt. 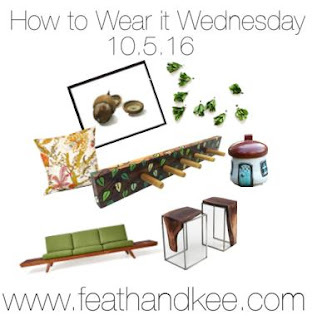 I love being outside, and when I have to be inside, I am usually drawn to furnishings and decor inspired by the outdoors. So this week, is filled with little reminders of nature. Bryan made this hat / coat rack for our shop from reclaimed wood. I added the leaf design, using different shades of green for the leaves. You can watch how I decorated it here. 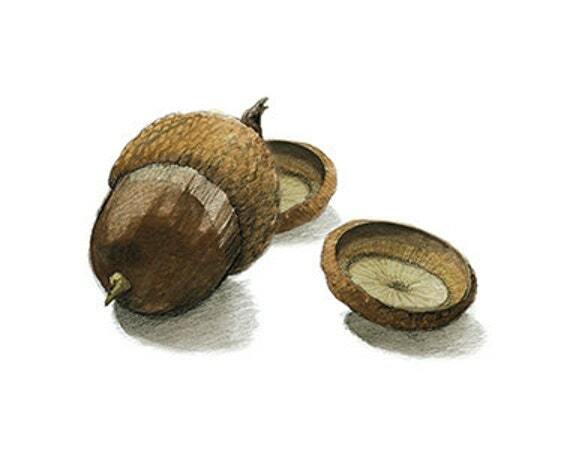 This acorn print from Gallery in the Garden was taken from an original watercolor painted by the artist. It is an archive quality print. 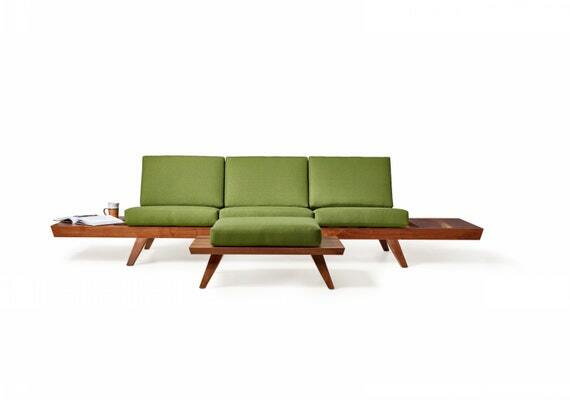 This couch and ottoman set from Wake the Tree combines function and style with ease. 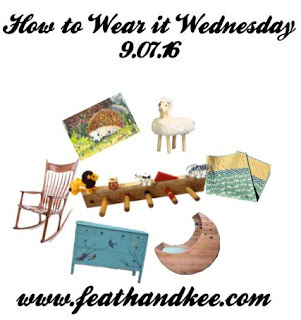 Each piece is made to order, so you can request different species of wood, or choose different upholstery. Made from a re-purposed cotton napkin, this pillow cover from Pookie and Jack has an envelope closure so you can easily insert or remove your pillow. 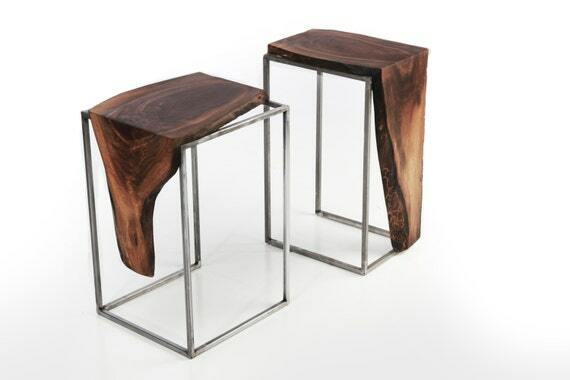 This side table set from Anton Maka Designs features live slabs of American Black Walnut, and reclaimed metal. Each set is made to order. 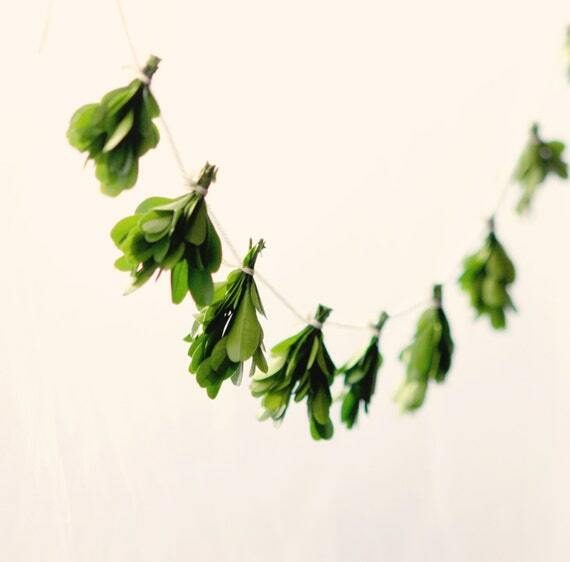 Made from preserved boxwood clippings, this pretty garland from Whichgoose, would look great draped along a mantle, along a doorway, or pinned to a wall. 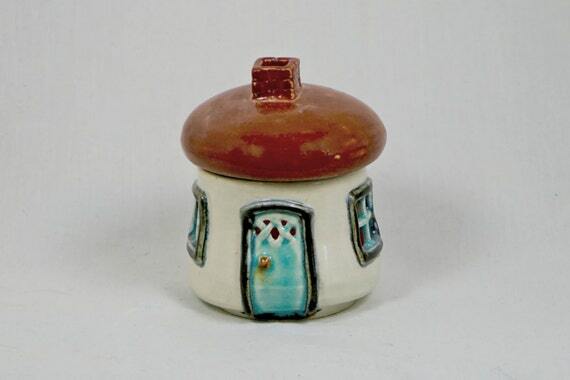 This adorable Fairy House Luminary from Muddy Waters Ceramic Creations was hand thrown on a pottery wheel, then bisque fired, and glazed. 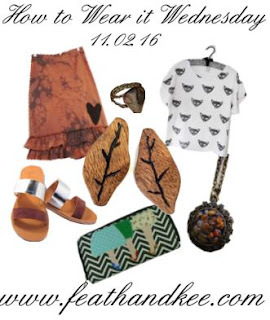 Cute late Summer / early Fall outfit this week. 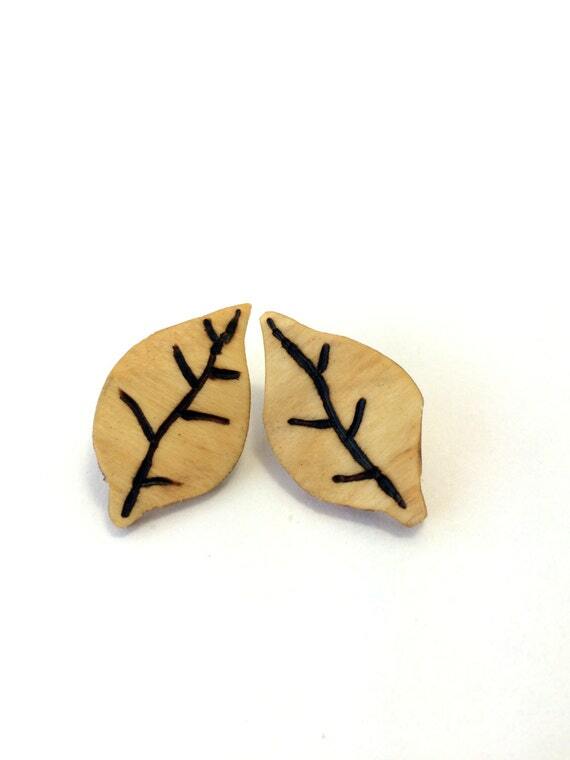 These wooden stud earrings from our shop are made from reclaimed birch. 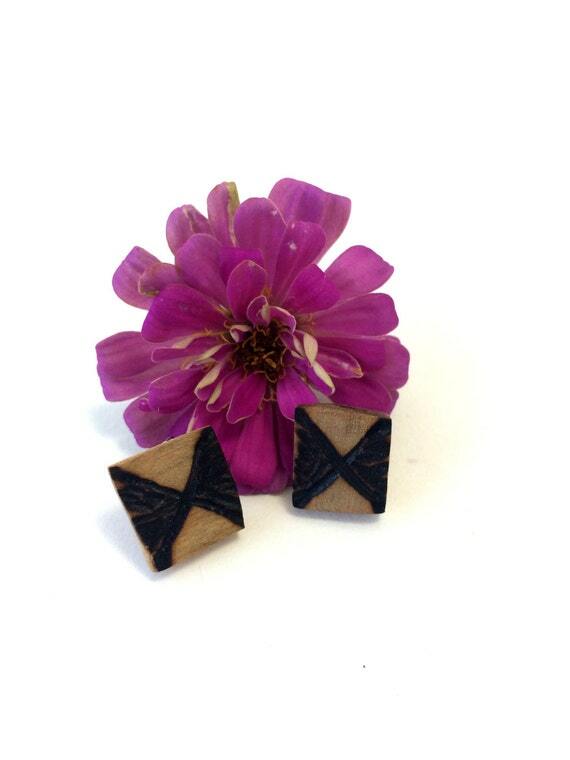 The pyographic bows, or bow ties, and the fact that they were hand cut and sanded ensure that you will not find another pair. 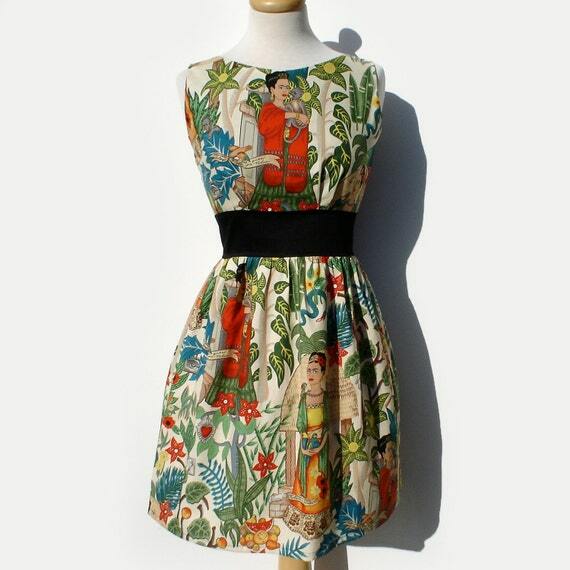 I love the vibrant print used in this vintage inspired dress from Vintage Galleria. 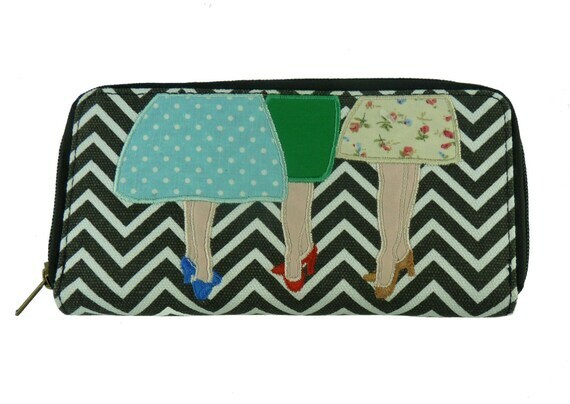 The design is versatile and will take you from now through next Summer. 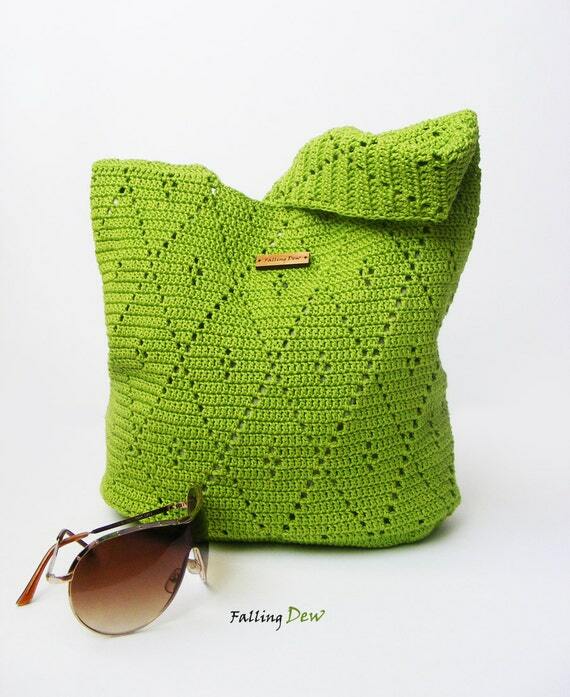 Reminisce about the lovely days of Summer while enjoying to cooler temperatures of Autumn with this crocheted cotton handbag from Falling Dew. 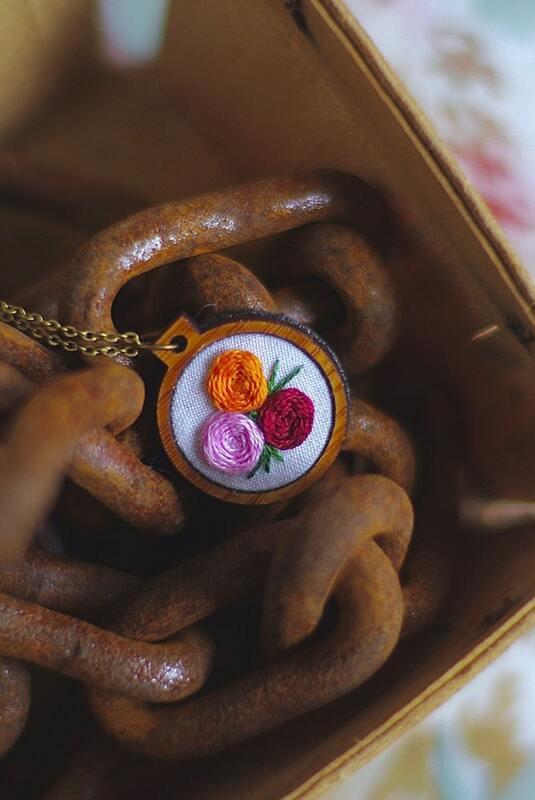 These pretty rosettes were embroidered onto muslin and framed with a bamboo hoop that has been attached to an antiqued brass chain. Get this awesome necklace at Call Her Happy. 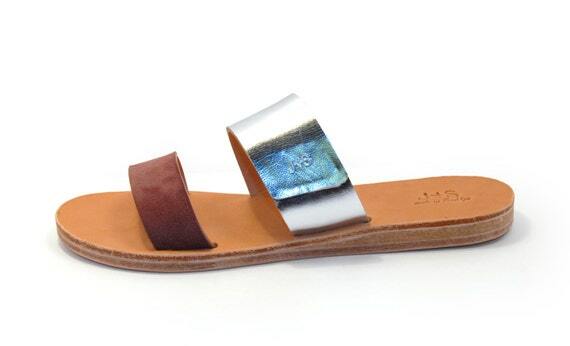 These flats from Mala Flats are made from 100 % leather, and designed to mold and fit your feet perfectly. 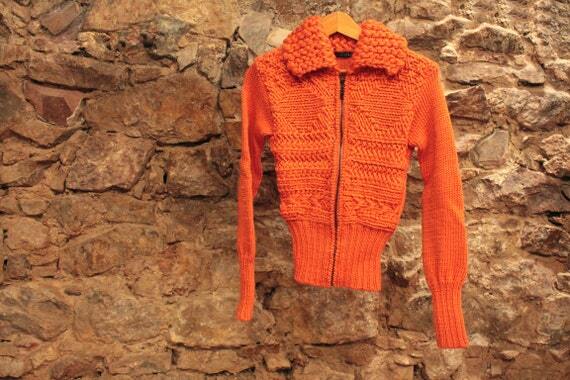 This amazing bomber jacket from quirogaquiroga is made from 100 % wool. 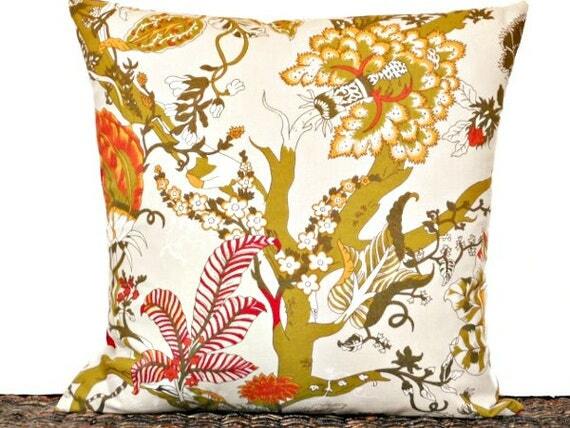 I love the pattern and bright shade of orange. 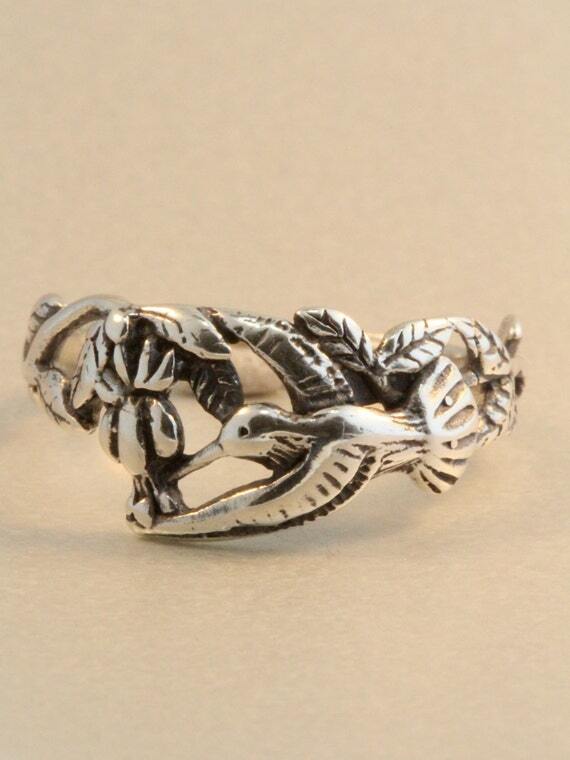 This unique ring from Marty Magic is made from sterling silver and cast from lost wax. With so many friends having babies right now, this week is about dressing up a nursery. 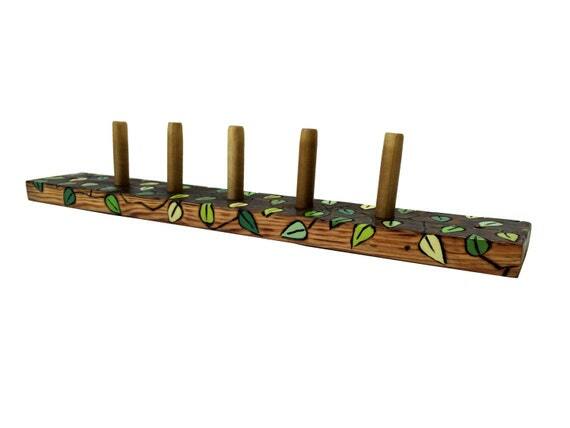 This cute coat hanger from our shop was made from reclaimed oak, croquet mallets, and recycled children's toys. 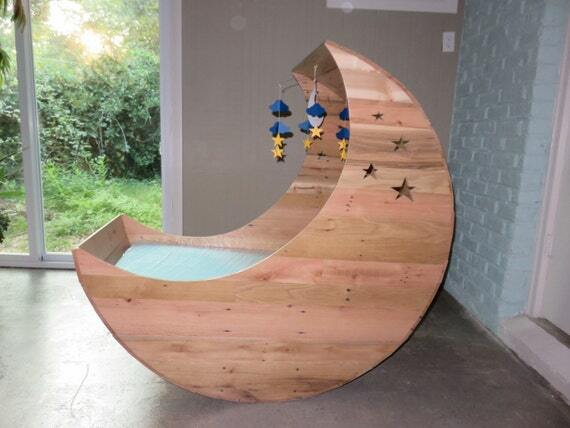 This cradle from Helen Doyle Designs is made to order from eco-friendly hardwood pallets. 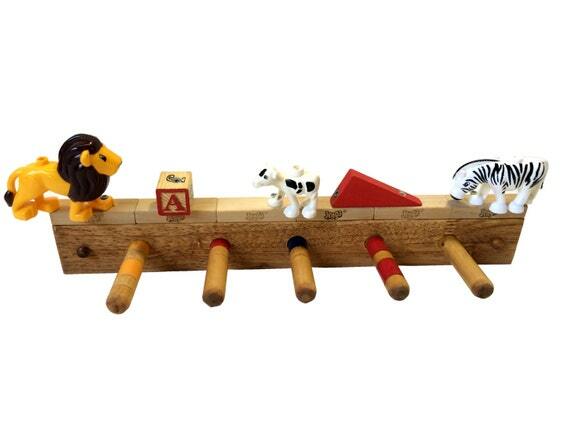 I can only imagine how much your little one would love playing it this once they are older! 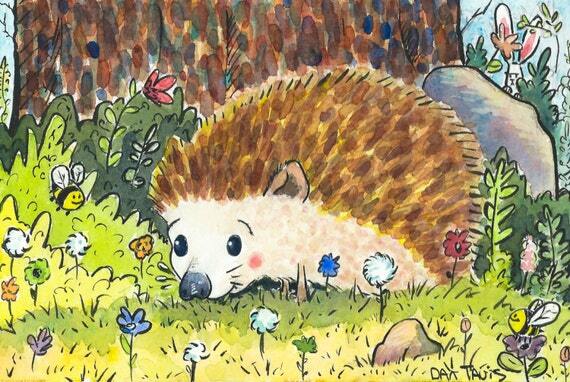 "Hedgehop Happiness" is an original watercolor from Dan Tavis Illustration. It is available in two different sized prints. Each print is printed on high quality matte paper and is signed by the artist. 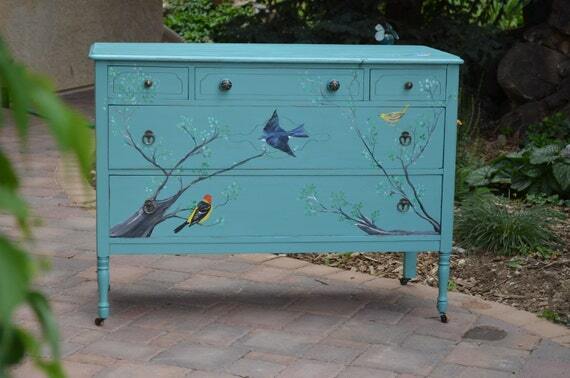 I love the bright colors on this dresser from Birdifacts Old and New. Each piece is done to order, using antique furniture and non-toxic paints. 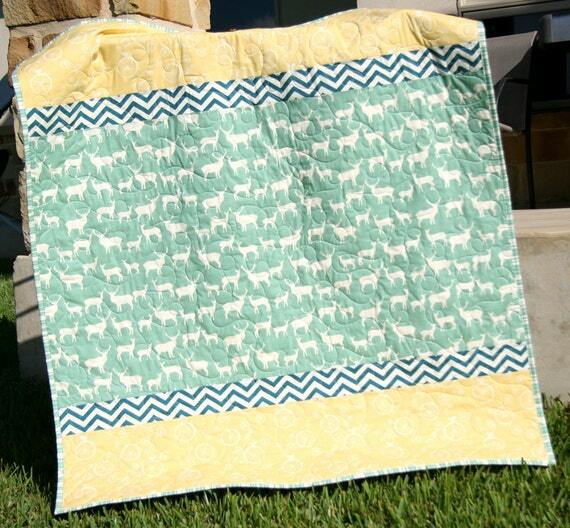 Made from 100% certified organic cotton fabric, this pretty quilt from Sunny Side Designs is just right for snuggling. These neat benches from Natural Sheepskin are available in two different sizes. 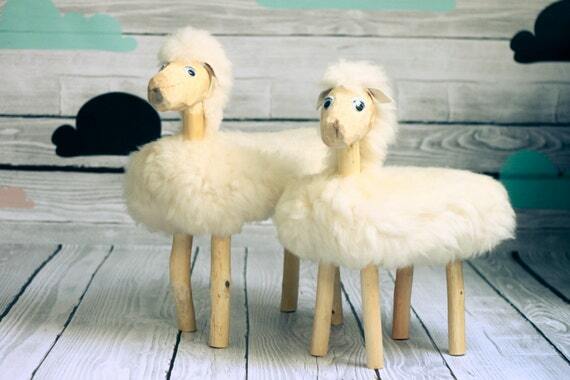 They are made from wood and covered in real sheepskin. 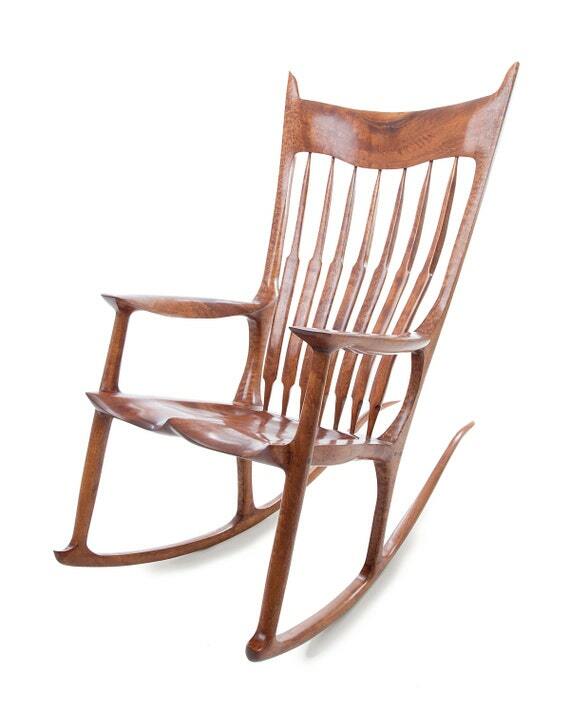 Every nursery needs a rocking chair, and this one is a work of art. It was hand-carved from Sapele wood with Ebony accents. You can find it at Legacy Rockers.